Salut, and welcome to our lesson about conjugation of avoir at Language Easy! Just as you would expect, the verb avoir (to have) is a fundamental verb French. First of all, it helps in expressing a lot of fundamental ideas like emotions, age, possessions, and secondly it’s one of the two verbs that are used as an auxiliary for the conjugation of many other verbs (along with être). Learning the conjugation of avoir is indeed an important thing to do. Here, we’ll only develop its conjugation tables ; we’ll discuss its usages in another page. Once you master the conjugation of avoir, you’ll be able to apply it to the derived verb ravoir (to have again). The verb avoir is always conjugated with the auxiliary verb… avoir. As we have seen, the conjugation of avoir is done with avoir itself at the compound tenses, which results in interesting constructions, like the redundant anterior past “j’eus eu“. Quand j’ai eu eu vingt ans, j’ai commencé à voyager. Quand j’ai eu vingt ans, j’ai commencé à voyager.. Et voilà, we reached the end of our lesson about the conjugation of avoir Feel free to come back again to refer to this page anytime you need to, because it’s a major thing to know. 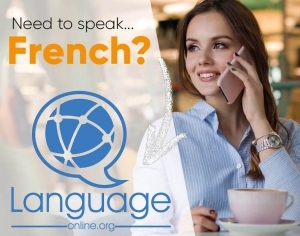 In other words, it’s a big step you’ve taken… If you didn’t do it already, don’t hesitate to check out the conjugation the other major verb in French : être.